I believe the following five inventions and discoveries have drastically improved the human life and medical technology; discovery of fire, invention of airplanes, invention of steam locomotives, discovery of ultrasound and discovery of laser. Laser is expected to bring further innovative changes in the medical field. The future is said to be an era of ultra-fusion and combination. Due to such thinking, today’s education focuses on interdisciplinary approaches where science lessons integrate liberal arts and vice versa. Such approaches are thought to foster talents that will contribute to further improving human quality of life. 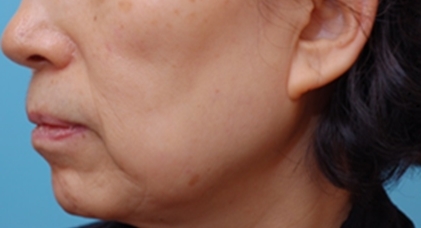 For almost two years, I have combined a dual diode internal laser with face lift in what I call a fusion/combination face lift. This new approach has drastically improved patient satisfaction as well as achieved a more streamlined procedure. 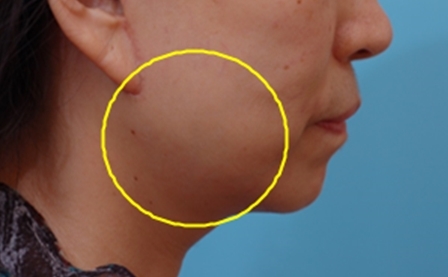 It also almost completely removed the risk of facial nerve palsy, a series and potentially fatal complication from secondary or tertiary face lift. Another major benefit is that the duration of treatment is greatly shortened. 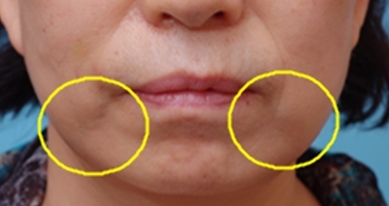 -”new nomenclature” to differentiate it from the traditional face lift. Table 1. The two wavelengths have different physical properties. I use the dual diode internal laser at the 1470nm lipolysis mode before face lift and again at 980nm lifting mode after liposuction. 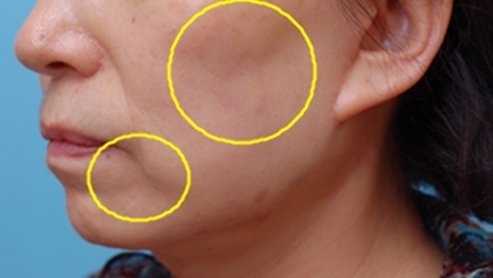 After sufficient laser lifting, I perform the extended high SMAS face lift, my favorite technique, for an innovative and marked improvement. I have applied this technique in the following cases. 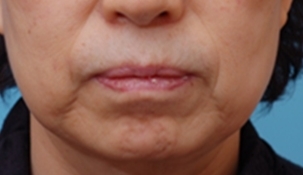 A 67-year-old, female patient was given very aggressive superior lateral SMASectomy with high SMAS technique without using the dual diode internal laser, which resulted in lateral hollowness. This was corrected with fat graft performed one year later. Image 1-2. 6 months after surgery. 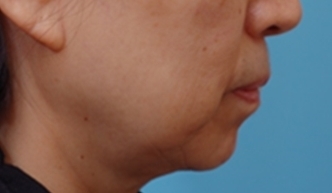 As shown in images, a clear neck-lengthening effect was obtained.